Give the gift of choice this #GivingTuesday. Books in Homes’ fourth grader, Nadera, explains, "Some people don't have many books at home because their parents may not be able to afford them, and when you come here you get to pick free books that you'll understand and that you'll really like to read." At Books in Homes, we work to make sure every child has the chance to choose and own books they'll love to read. Choice and ownership allow children to build a relationship with literacy that changes their lives. As of today, Books in Homes has given over 170,000 children, just like Nadera, the chance to choose more than 500,000 books! We are so proud of this half millionth milestone, but we still have work to do to place books in the hands and homes of children who need them. They need your help! Donate today to help us end "booklessness"! Have you heard about our new Fundraising Toolkit? All BiH Locations now have access to fundraising tips and templates to support their fundraising efforts for the BiH program online. For more information, please contact Alaina Billing, Program Coordinator, at abilling@booksinhomesusa.org. Do you want your students featured in our Books in Homes newsletter? The Reader in Residence Questionnaire allows students to share their thoughts about their most recent reads with the BiH community. All BiH students may participate! Forms can be found here and submitted to the BiH team via email. 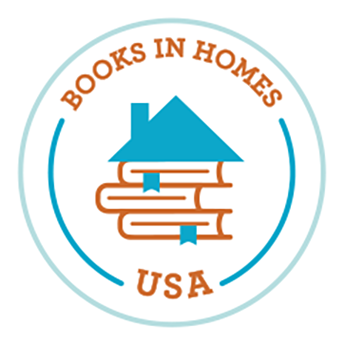 Is there a school or organization in your community that you think would benefit from the Books in Homes program? Consider sponsoring a Books in Homes Location. A School Sponsorship covers the cost of all brand-new books for students. To learn more, please contact Jessica Bradbury, Director of Development, at jbradbury@booksinhomesusa.org.